Immerse yourself in a captivating Ambilight experience. Featuring a HD Ready display and Pixel Plus 3HD engine, this Flat TV combines HD Natural Motion, exciting invisible sound and Ambilight - lighting up your experience for years to come. Ambilight makes an impressive contribution to the overall viewing experience by producing ambient light to complement the colours and light intensity of the on-screen image. It adds a new dimension to the viewing experience, completely immersing you into the content you are watching. It creates ambiance, stimulates more relaxed viewing and improves perceived picture detail, contrast and colour. Ambilight automatically and independently adapts its colours according to the changing content on the screen. 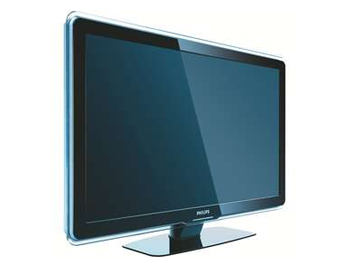 Pixel Plus 3 HD offers the unique combination of ultimate sharpness, natural detail, vivid colours and smooth natural motion on all qualities of HD, standard TV signals and multimedia content, for high definition displays. Each pixel of the incoming picture is enhanced to better match the surrounding pixels, resulting in a more natural picture. Artefacts and noise in all sources from multimedia to standard TV and also in highly compressed HD are detected and reduced ensuring that the picture is clean and razor sharp.